Decades before his grandson King Henry VIII scandalised Europe with his six marriages, King Edward IV made his own controversial match. Defying convention, the York king took a beautiful Lancastrian widow as his bride. 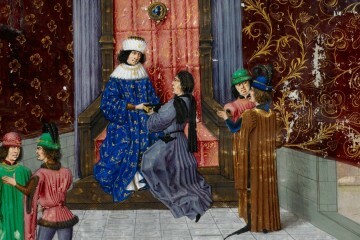 The love-match between Edward IV and Elizabeth Wydeville outraged the nobility, it would prove fatal to his relationship with the “Kingmaker”, the earl of Warwick and arguably led George Duke of Clarence on his path of self-destruction. The scandal left Elizabeth vulnerable after Edward’s death, even after two decades of a happy marriage. To get behind the many myths that surround Elizabeth Wydeville, one of England’s most slandered Queen consorts, we firstly need to examine the catalyst. Susan Higginbotham, author of The Woodvilles, joins us today to discuss the marriage of King Edward IV and Elizabeth Wydeville. The date of Edward IV and Elizabeth Wydeville’s secret marriage is often alleged to be May 1st, May Day. Do you think dating the marriage to May Day is more of a romantic tradition and has perhaps helped reinforce allegations of witchcraft against Elizabeth? It’s difficult to say, because contemporary sources do give the May Day date and no other, and the May date is certainly logistically possible. But Elizabeth’s dealings with William Hastings later that year suggest that she had not yet married the king, so I’m inclined to believe that the marriage took place in late August or early September, and that the date reflects romantic tradition. Certainly the May date has been used to bolster the notion that Elizabeth used witchcraft to snare her man–one particularly imaginative modern writer, who purports to be writing nonfiction, posits that the wedding took place after a wild night of bacchanalian Walpurgisnacht reveling in the woods, although not even Elizabeth’s contemporary enemies came up with such an accusation against her. What about the idea that Elizabeth refused to sleep with Edward unless he made her his wife? The contemporary stories seem to allude to her simply refusing to become his mistress, do you think that the idea she was ‘making a play’ for the crown is a modern one? I don’t think Elizabeth could have ever anticipated that Edward would act so unorthodoxly by making her his queen. I believe the notion that she set out to become queen probably reflects the later relationship between Henry VIII and Anne Boleyn, who did indeed at some point reject the idea of being Henry’s mistress in favor of being the queen. But of course there were factors at play such as Henry’s frustrated desire for a male heir that weren’t there in the case of Edward, and there was precedent at that point for a commoner becoming queen–that precedent being Elizabeth herself. So while the nobility made much of Elizabeth’s alleged commoner roots, did Edward’s subjects voice much objection to the marriage? Not that’s recorded. I suspect that after the unpopular Margaret of Anjou, whose marriage was associated with the English reversals in France, that many people might have even been relieved at the king’s choosing an English bride. Is there really any evidence that Edward may have been tiring of Elizabeth as they both aged and she would have lost her influence over him in place of a mistress? Not that I know of. It’s been claimed that Edward omitted her from the list of his executors in his 1483 will (which hasn’t itself survived) and that this is shown by the fact that she’s not listed in the executors who met at Cecily, Duchess of York’s residence in May 1483. This is a good example, unfortunately, of how evidence has been misread to make a case against Elizabeth, because the account of the meeting doesn’t purport to be a complete list of the executors from the 1483 will, and Elizabeth in any case was in sanctuary at the time and wouldn’t have been at the meeting anyway. What about Edward’s own reputation for licentiousness? It seems we’ve little actual evidence of illegitimate children and mistresses and one of those illegitimate children Grace seems to have formed a relationship with Elizabeth and attended her funeral. Do you think that perhaps even Edward’s reputation has been subject to some exaggeration? 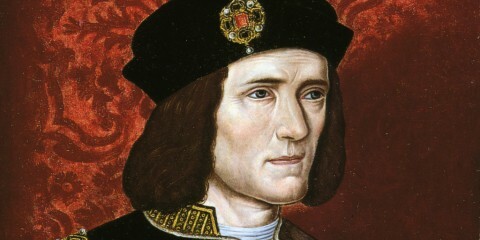 It’s interesting that only two illegitimate children for Edward, Arthur and Grace, have been soundly documented–the same number that can be documented for his younger brother Richard, who nonetheless has acquired a reputation as something of a prude. Their marriage is famed as a love-match, what is your opinion on their long and seemingly stable relationship? Sadly, for a love-match, we know very little of the couple’s personal relationship–we have few glimpses of their private life, as we do for Henry VIII and his queens. There’s certainly no evidence, though, that Edward ever became disenchanted with Elizabeth. Thursday 2nd October: David, Susan and Arlene all return for a special history salon on Elizabeth Wydeville and her reputation. Win a copy of The Woodvilles! We have an eBook to give away courtesy of The History Press. To win a copy of The Woodvilles by Susan Higginbotham just leave a comment below by Sunday the 5th of October. 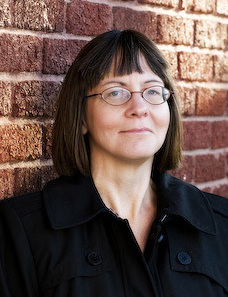 Visit Susan at History Refreshed and find out more about her books at susanhigginbotham.com. I am the author of two historical novels set in fourteenth-century England: The Traitor’s Wife: A Novel of the Reign of Edward II and Hugh and Bess. Both were reissued in 2009 by Sourcebooks. My third novel, The Stolen Crown, is set during the Wars of the Roses. It features Henry Stafford, Duke of Buckingham, and his wife, Katherine Woodville, as narrators. 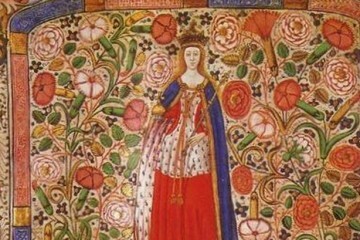 My fourth novel, The Queen of Last Hopes, features Margaret of Anjou, queen to Henry VI, and is set mainly in the earlier years of the Wars of the Roses. 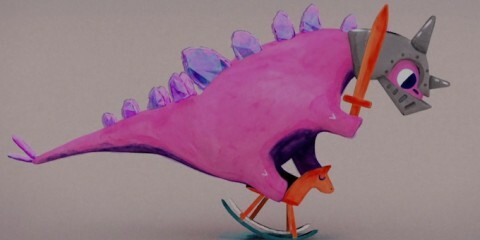 It was released in January 2011. My fifth novel’s, Her Highness, the Traitor, heroines are Jane Dudley, Duchess of Northumberland, and Frances Grey, Duchess of Suffolk, who respectively were the mother-in-law and the mother of Lady Jane Grey. 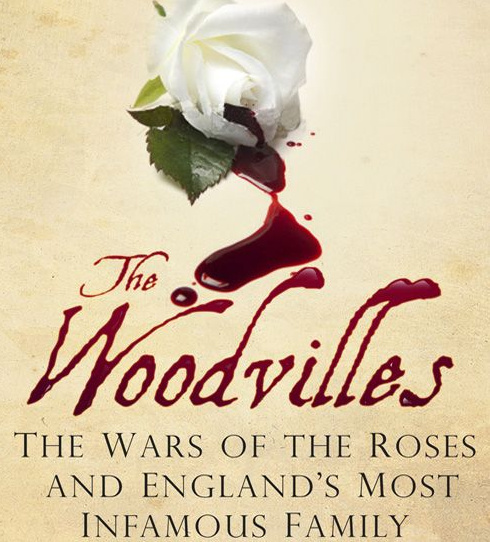 The Woodvilles by Susan Higginbotham, Published by The History Press 2013. From an acclaimed historical fiction author comes the first nonfiction book on the notorious and perennially popular Woodville family, investigating such controversial issues as the fate of the Princes in the Tower and witchcraft allegations against Elizabeth and her mother. 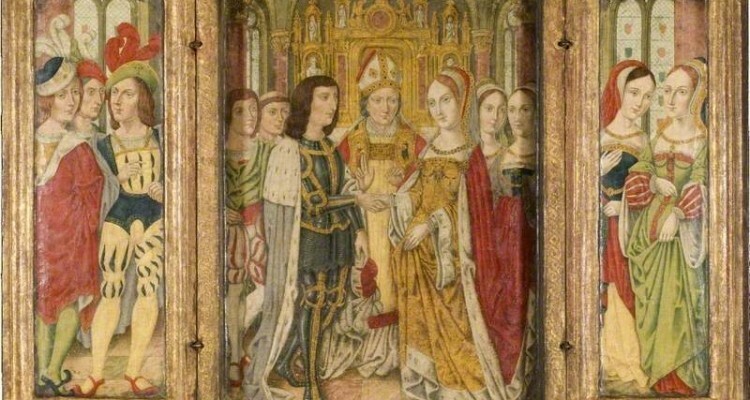 In 1464, the most eligible bachelor in England, Edward IV, stunned the nation by revealing his secret marriage to Elizabeth Woodville, a beautiful, impoverished widow whose father and brother Edward himself had once ridiculed as upstarts. 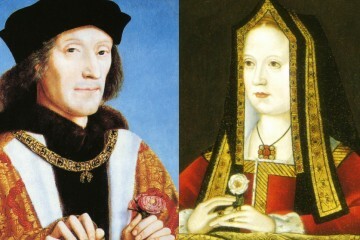 Edward’s controversial match brought his queen’s large family to court and into the thick of the Wars of the Roses. 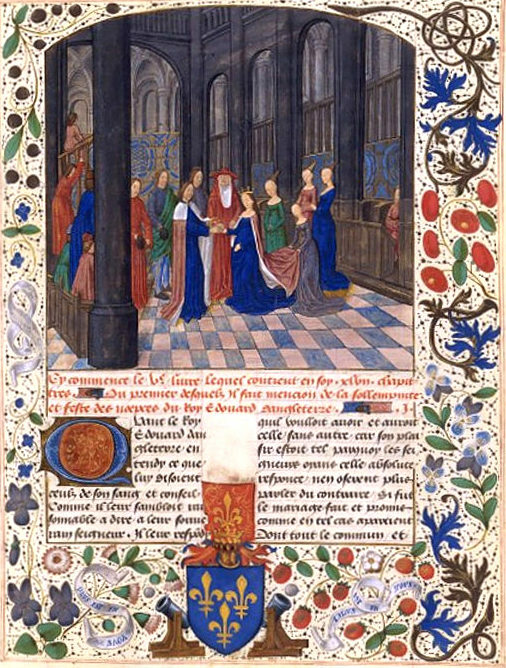 This is the story of the family whose fates would be inextricably intertwined with the fall of the Plantagenets and the rise of the Tudors: Richard, the squire whose marriage to a duchess would one day cost him his head; Jacquetta, mother to the queen and accused witch; Elizabeth, the commoner whose royal destiny would cost her three of her sons; Anthony, the scholar and jouster who was one of Richard III’s first victims; and Edward, whose military exploits would win him the admiration of Ferdinand and Isabella. This history includes little-known material such as private letters and wills. My journey with the Tudors started with Henry VIII – rather typical and only recently am I starting to learn more about the other branches of the Tudor line. It will be most intriguing to learn more through your eyes and mind. 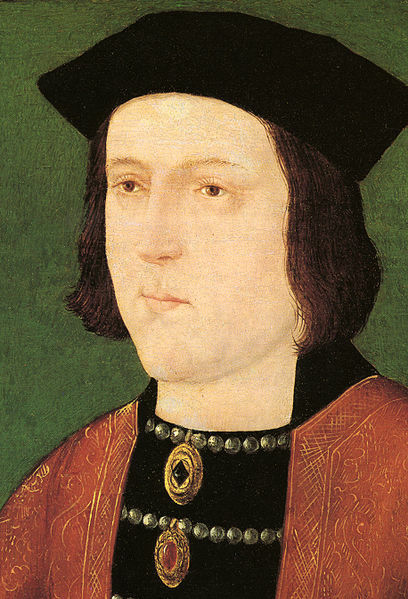 I love this history (pre-Tudor) especially since I found out we are related to Edward IV. I read anything I can find that gives a true account of what happened. 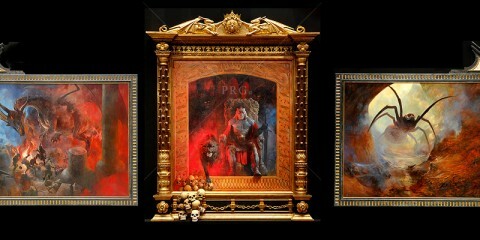 Have read much on the Tudors and War of the Roses. 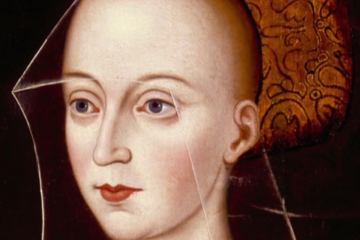 Elizabeth Woodville lived a life beyond any fiction imaginable. Looking forward to reading more. Lovely interview. I really hate that we don’t know more about their private relationship. It seems like such a lovematch. interesting background stories about this lady. until the televisonseries i had never heard of her. Its good to keep in mind that televionscreenwriters write fiction based on historic stories and figures that we know not much about. marriage contract between Edward and Eleanor Butler which would have rendered his marriage to Elizabeth invalid. I would course love to read this new book. This lady has always fascinated me – from very interesting stock and such an improbable life. She must have been very strong to have withstood periods of being alone and friendless, losing her husband, losing her two sons and having to do a deal with the ‘enemies’ side to secure a future for herself and her remaining children. I like that at least one of Kind Edward’s children reigned over England and into the new Tudor dynasty. This story is often overlooked in favour of the more ‘colourful’ Henry VIII and yet is just as dramatic and eventful! I love Susan’s books and her ability to separate myth from documented facts. As she states, many writers – even those who are writing nonfiction – have trouble with this. She truly seems to ignore what may be commonly believed and search for what can be proven. The Woodvilles is the only book of hers that I do not own, so I would love to win a copy! Getting back to one of my first loves…history! Would love to get this book! My love of english history started in high school with the war of the roses. When I look back now we didnt even touch the surface. Since then I have enjoyed both books and movies that are based around that time and am fascinated how with each book, series or movies my love for this period in history grows more. Although most interest started later in life with Henry VIII. Learning more about the other people who influenced the latter has been a facinating journey and I never seem to get enough of all the interesting information out there. I would love to read your books. I remember studying English history in high school and thinking it was not interesting because it had nothing to do with me, but I was very wrong. I can’t seem to get enough nowadays! 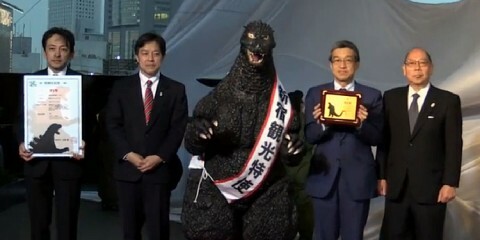 This has been a wonderful interview. Quite an enjoyable read and full of information. As a historical reenactor, reading about these things helps a lot when I embody high status roles. I never go for monarchs, but lesser known nobility who would have been at court. It’s important to be ready with all the current events and court gossip/public opinions. Minor point: Warwick was Edward IV’s cousin, not his uncle; his father, also Richard Neville, and Edward IV’s mother, Cicely Neville, were brother and sister. I thought I replied to this earlier, thanks ME. I’ll correct that. I was always fascinated with the life of English kings, and I always dreamed of living during their times. I’d love to expand my knowledge, especially in a story so intriguing like Edward and Elizabeth’s. Absolutely fascinating. I enjoy reading the myths and facts surrounding the monarchy. Really clear summary and I like the fact that you believe that they didn’t “marry” on May Day but later in the year when Warwick was in France negotiating for Edward to marry Louis XI’s sister in law. Wonderful to read! Brightened my day at work to have a nice dose of history! Elizabeth Wydeville is the reason I have fallen in love with history again. Thank you for these articles. More to read, abosrb and eat up. It’s always interesting to read all the different interpretations of these historical figures – it’s hard to imagine that in the centuries to come, people will be intrigued about your life and would want to analyze it. I really love the edward/elizabeth love story!!!! What makes it even better was that it was real and not a fictional story!! How fascinating these things are!The authors are like magician,they have the power to bring you in those past worlds….I hope to dream again! What an interesting insight. I find this period of history fascinating and I already have this book on my wishlist. i love all things to do with tudor life, at the moment I am writing my own book ( for my kids ) I love that era and also the things leading up to that time, I am lucky were I live in norfolk I do have a lot of history on my door step and I make use of what’s out there and I love to learn all that I can. Ms. Higginbotham has come highly recommended to me by several people. I would love to start reading her by winning this book! It’s only been very recently that I came across this family. I read “The Lady of the Rivers” by Phillippa Gregory and I have been obsessed since. I have almost cleared the library out of their books, and I have started rummaging through the documents at the university library. Elizabeth Woodville is fascinating and I love learning about her. I am very eager to read this book on my favorite Queen’s family so would love to win it! 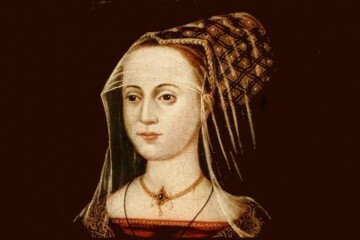 I love to hear about Elizabeth Woodville. She is someone I would like to meet. Her story is intriguing. Elizabeth Woodville is certainly one of my top 3 favorite Queens Consort. A lot of people like to compare her with Margaret of Anjou (and then they usually say Margaret is better), but that’s not exactly fair, now is it? They were different women and they had different backgrounds and opportunities, we can’t really compare the two of them like that. But they were both amazing. The Woodvilles is a book I’ve been wanting to read for a long time now, but I didn’t really have the opportunity. Susan Higginbotham was highly praised to me by my friends. I really want to find out more about the whole family, not just Elizabeth. I’m not gonna lie, I’m generally more interested in the women, like Jacquetta and Katherine, but I would also like to learn about Richard and especially Anthony! Anthony is my favorite Woodville man and I’m always sad when I remember how his life ended. I have been interested in anything I can get my hands on about these extraordinary people in European history. I would love to read more about Elizabeth’s family. I would really love to win this book! I am very interested in Elizabeth and her family and I look forward to reading this new book! Entries have now closed. Thanks to everyone for entering. Congratulations Deborah, you’ve won a copy of the Woodvilles!